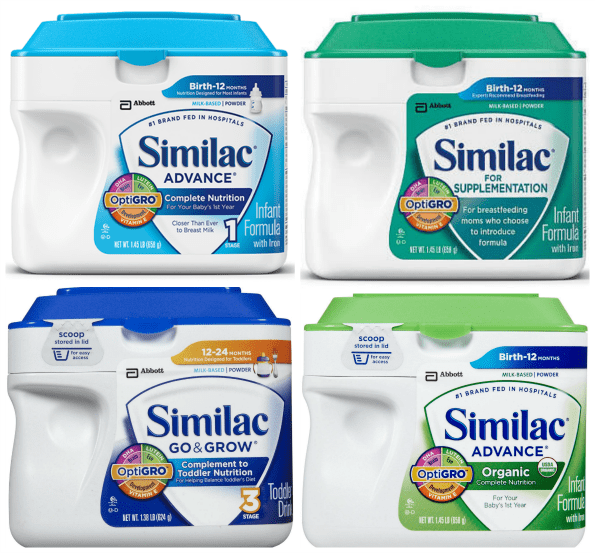 $5 Similac Printable Coupon – Print it Now! I know a lot of people are here looking for printable baby coupons, and this $5 Similac printable coupon will definitely help stretch your dollars a little bit further! 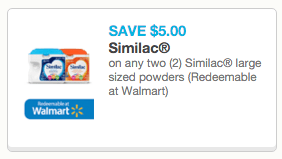 Grab this $5 Similac printable coupon and use it for your next formula purchase. 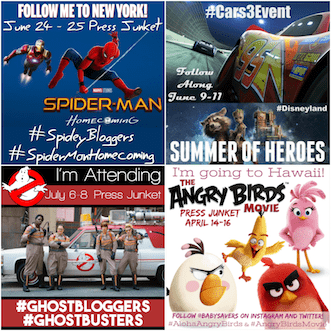 Remember, you can print two copies of this coupon if you print one, then come back here. 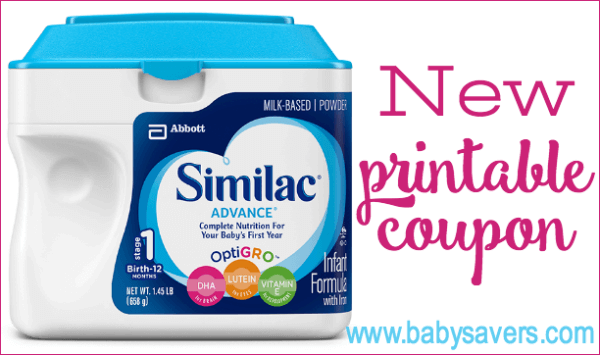 Click this link for the Similac printable coupon again and you'll be able to print it once more! If you shop at Publix you can grab this extra Similac printable coupon to save $5 on 2 ready-to-feed Similac baby formulas! I also highly recommend continuing to check the Target printable coupons page to see if there are any printable Target Similac coupons. These are occasionally available, and they be combined with the coupon from Coupons.com for additional savings! 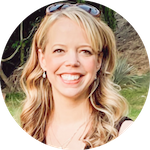 Did you know one of the best ways to get extra Similac coupons is to sign up for the Similac StrongMoms list? You'll get free coupons and baby formula checks sent right to your house and your email inbox! Then, be sure to sign up for Enfamil Family Beginnings to get on another baby mailing list.. These companies share information, and you're going to get some great coupons in the mail just for letting them know you have (of you're going to have) a new baby in your home. You might have coupons for one brand of baby items while your friend might have Similac coupons for Similac or other baby brands you use. Making a trade will help you both save some cash! 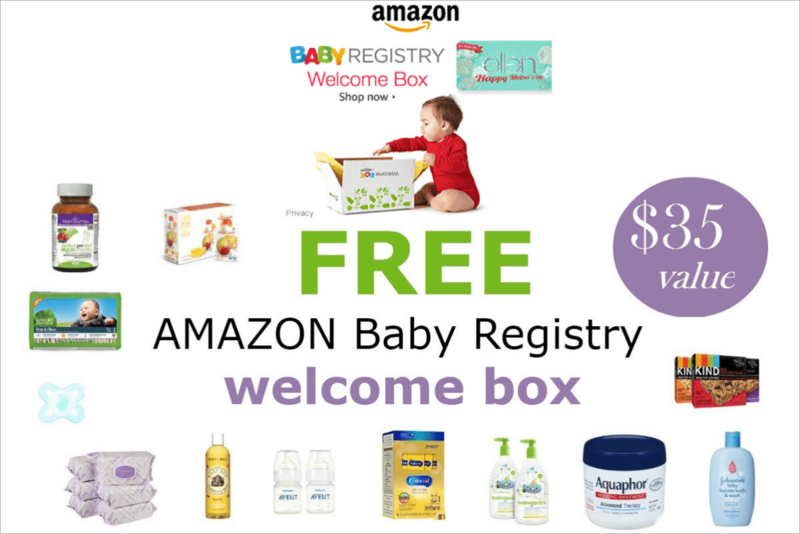 Creating a free baby registry with Amazon is another great way to score Similac coupons, samples and some great free stuff for the baby. It doesn't matter if your baby has already been born. Just sign up, put a few things on your list and leave it. Plus, Amazon is offering $35 in free baby stuff in their exclusive Welcome Box with your baby registry. It's free and easy, so sign up today! Do you have other ideas for getting more Similac coupons? Please share them in the comments! I need help with buying the formular like coupons or something because it is hard to buy the milk for seventeen dollars that is a lot for one can of milk. I don’t have a baby, but keep getting $5 off coupons for Similac in the mail. Any suggestions for how to get these to someone who could use them? I would love to get those of you still have them. Are you still getting those coupons for similac?? I have enfamil coupons…please let me know if somebody needs them…I can mail to you..
How can I get coupons for similar formula regularly? Anyone know how to get discounts or coupons on Similac Alimentum? Please send the deets. Have a set of twins so the bill is steep!! I am in need of coupons for Similac Pro-Sensitive formula. How can I go about that? This particular formula does not come in the can formula on in the tug or bigger size. The lowest amount is 29.88 or higher. Can I please be sent some coupons? My baby drinks the Similac SoY milk and it is very expensive. I could definitely use some coupons to help purchasing this milk. This milk is very hard to find. I can can only purchase this milk in Walmart and Target stores and it is very pricey. Link leads to coupons.com which is out of date and difficult to print from. Must input telephone number (mobile though I’ve done my home number before) and they don’t call for hours to give the code. Not good to give out your cell or home phone number to begin with.